Te Whare Mahana offers New Zealand’s only national residential Dialectical Behaviour Therapy (DBT) programme. Situated in Golden Bay, Nelson Tasman, this internationally renowned programme is for people experiencing frequent high levels of distress and have had little success from hospital and community treatments. Dialectical Behaviour Therapy is an intensive behavioural treatment approach, helping people work through complex histories and Post Traumatic Stress Disorder, and learn new skills for managing relationships and coping with distress. The well-established treatment model was developed by American psychologist Marsha M. Linehan as a better way of treating people with Borderline Personality Disorder and chronic self-harm/suicidal behaviours. DBT is now routinely used to treat a wide range of different and co-occuring mental health problems, including anxiety and depression. DBT emphasises the learning and refinement of skills to help regulate emotions, change thinking patterns associated with problems in daily living and reduce misery and distress. DBT incorporates the acquisition of skills to assist residents to improve interpersonal effectiveness and their quality of life. “Before coming to us, our DBT residents’ multiple suicide attempts and frequent severe self- harming episodes have really challenged DHB outpatient mental health services. When referring, clinicians often describe our residents as being ‘on a trajectory to death’. They have exhausted all local treatment options but are wanting to live – that’s what we give our residents, their lives, their futures.” Shelley Harvill, DBT clinical manager. Click here to find out more about who DBT is for. Our programme offers up to six placements in a 24 hour-staffed home in Golden Bay, Nelson Tasman. The environment is welcoming, private and safe. Treatment includes twice weekly individual therapy sessions with intensively trained DBT clinicians, multiple skills classes and crisis coaching, skills practice groups and 24/7 access to DBT coaches. There are also opportunities to apply the therapeutic learning through shared living, daily skills groups, household management, recreational and vocational activities and during home visits. Family/Whanau therapy and Transition/Home-based consultation is provided to support long-lasting change. We have links with the Nelson Marlborough District Health Board including the Alcohol & Other Drug service and Acute Psychiatric Unit. We also work with Golden Bay Integrated Health Centre, WINZ, Te Whare Mahana’s Community Mental Health, Employment and Vocational Services and the Ark respite care. Te Whare Mahana is blessed with long-serving, highly trained and experienced specialists who share a passion for helping people achieve “a life worth living.” The Te Whare Mahana team believes that within the DBT framework there are great opportunities to develop core learning, essential for self-understanding and living effectively in the world around us. Our staff greatly appreciate how hard clients work and have enormous respect for their bravery and commitment, matching our commitment to finding the “nugget of gold” within each of us and working with clients to create a meaningful life they actually want to live. Originating from the Mississippi delta Dr. Shelley Harvill is highly experienced at group facilitation within natural environments and amongst diverse cultures. After helping to build and direct a community integration programme for people living with serious mental illness, Shelley obtained a Doctorate of Psychology from Forest Institute of Professional Psychology, Missouri. 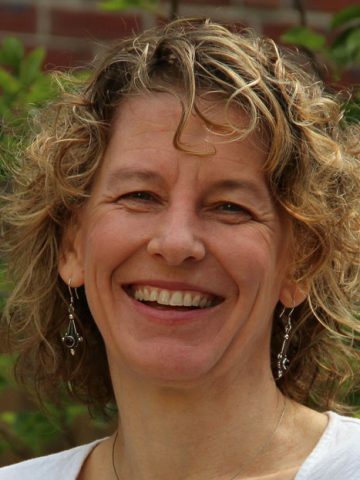 Seeking to learn about nationalised healthcare systems and to continue her interest in the schizophrenia recovery field and mindfulness-based approaches, Shelley completed post grad work in Nova Scotia Canada. Being an integration of western and eastern psychological philosophies and backed by strong research, DBT became one of Shelley’s preferred therapeutic models to effectively treat people with complex needs. She has completed multiple DBT intensive trainings, including Radically Open DBT, which is aimed at people with over-control issues as found in treatment resistant depression and eating disorders. She also brings experience with integrating prolonged exposure therapy with DBT to help clients better manage problems related to PTSD. Jay harks from the United States and undertook intensive DBT training in 1998, applying the technique ever since. Jay has in-depth experience in DBT residential services as a therapist, program director and executive director and has coordinated an outpatient adolescent DBT team. He prefers to work systemically and has deep understanding of dynamics in his extensive work with families. Jay has also trained other therapists in various settings such as schools and in-home services. Adding to his DBT therapy skills is somatic experiencing, a trauma treatment, as well as narrative therapy and psychodynamic treatment. 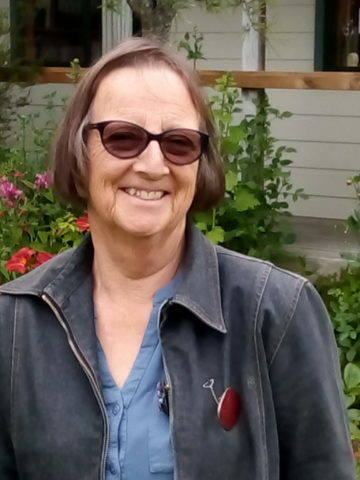 Bree has been honoured to walk alongside people in their journey to wholeness as a Registered Nurse and Social worker since 1983. Born under Te Maunga of Aoraki in Timaru Bree has remained close to the land throughout her life and returns to Golden Bay to live the dream. 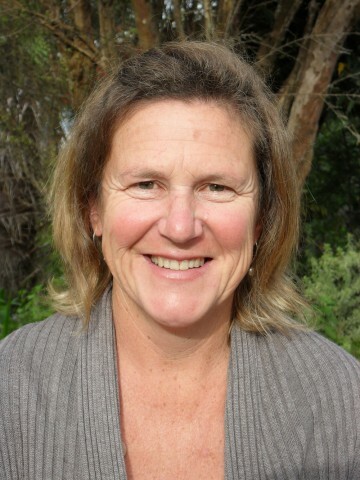 Journeying overseas for many years Bree has experience in supporting people connect to the land to find their own still point through wilderness therapy, has training and experience in Cognitive Behaviour Therapy, DBT skills groups and incorporates Trauma Informed Care into her work. 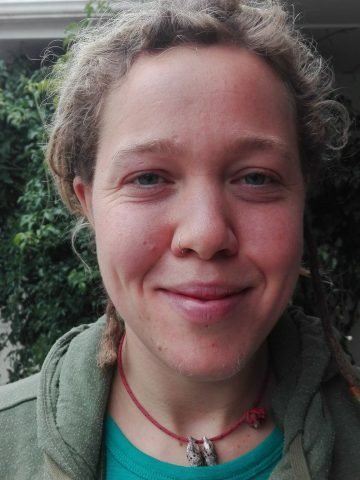 Bree brings training and experience in Mental Health nursing and mindfulness practices and believes everyone deserves the opportunity to reconnect to their inner strength through DBT, traditional medicine, and connecting to the beautiful lands of Aotearoa here in Golden Bay. Bree is passionate about yoga, tramping, and waka-ama. Heather began work for Te Whare Mahana at the beginning of 2016. She qualified as a Child and Adolescent Psychotherapist in the mid 1980’s and since then has worked in the health, welfare, education, and NGO sectors with children, young people and their families. Since coming to the Bay from Christchurch and being employed at Te Whare Mahana, Heather has had the opportunity to train in DBT. "Every day I see how this skills based approach is helping residents to effectively manage their emotions and the challenges life presents as they work towards their life worth living." Holly joined the team at Te Whare Mahana in 2017 as a Peer Support Worker and now also as a DBT Coach. She is originally from the UK but has been in New Zealand since 2015. She is a qualified Outdoor Instructor bringing experience working in the outdoors with adults and children, often with behavioural problems. It is her belief that through positive experiences in the outdoors we learn our place in the world, a sense of purpose and responsibility not only for ourselves but for those around us too. Māori believe that our emotional, intellectual and spiritual selves are born daily from the land, that thought itself comes from here. If we break that connection to the land we also break the connection to ourselves. Lesley is a senior coach (overnight support worker), household manager and part of the TWM clinical team, having completed the DBT intensive training. 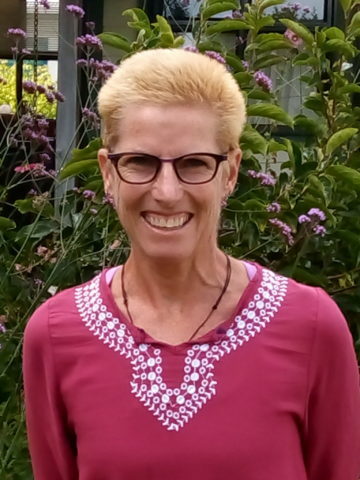 She has worked at Te Whare Mahana since 2002, helping many people reach their full potential through the DBT programme, including by promoting exercise and healthy eating combined with the DBT skills to form the path to wellness. “Ko Anthony Marsh tāku ingoa, i whānau au i Ōtepoti, i pakeke ake au i Taieri. 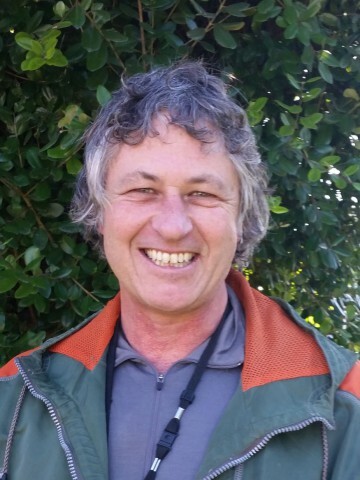 Ko Kāi Tahu, Kāti Mamoe, Waitaha ōku iwi.” Marty is a DBT coach and support worker at Te Whare Mahana and has completed a DBT intensive training. Growing up in Mosgiel, just outside Dunedin, his whānau, Marae, and urupā are all in the deep south of Murihiku. After decades in the corporate world, including some time working for Te Rūnanga o Ngāi Tahu on Whai Rawa, he moved to Golden Bay. Marty is also the DBT Cultural Advisor to support the team’s bi-cultural competency. Growing up in Rotorua Rod enjoyed the recreational aspects of the region. Surrounded by lakes, rivers and bush inspired his connection with nature. Cycling and other outdoor pursuits became a way of life and inspired him to expand his limits. Learning, interacting with people and nature is his passion, which is why DBT aligns with his own values and interests with a focus on creating a life worth living. The DBT world view also resonates with Rod as it incorporates dynamic systems perspectives where things are seen as being interconnected and impact on each other. Sabina is a Registered Social Worker is the Intake and Care Coordinator for the DBT Team. She holds a degree in Social Pedagogue from a German University, a post grad. Certificate in Professional Supervision and has training in Psychodrama, Re-evaluation Counselling, Motivational Interviewing and has completed an intensive DBT training course . She has a keen interest in cultural learning and Te Reo Māori, and values individual and cultural uniqueness and diversity. Sharon’s working life has included many varied occupations, most of them involving a supporting role, which required interacting with people from all ages, stages and walks of life. She has also completed a degree in counselling and a diploma in homeopathy. She was attracted to Te Whare Mahana after attending a talk by staff, greatly impressed at what it was achieving within the field of mental health. She cites that her life, like many other peoples’, has not always been easy, yet she continues to believe she has a life worth living, so she finds supporting the residents to try and achieve this for themselves is gratifying. 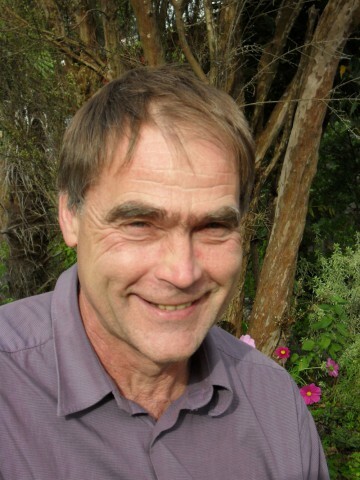 Originating from Germany, Volker has lived in Golden Bay since 1988. He is a counsellor specialising in DBT therapy, preferring to work within the evidence-based framework of DBT. His work at Te Whare Mahana includes individual therapy, skills training and group facilitation. He has completed two intensive DBT trainings and multiple advanced DBT related workshops.